An easy on the pocket hotel near Powai Lake, Hotel Blue Ocean is packed with modern facilities and features to ensure guests settle in with ease. 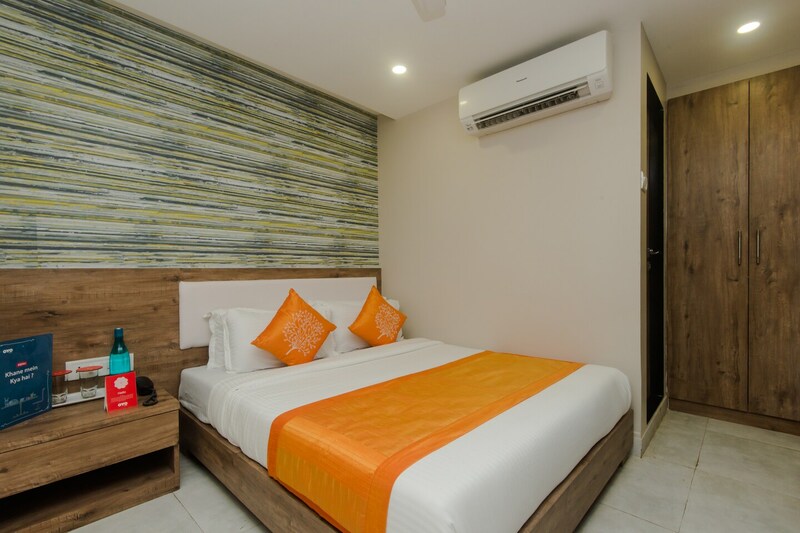 The bedrooms at the hotel have light colored walls and woof furnishings with one of the walls textured, making the rooms appear warm and bright. The amenities offered by the hotel are free Wi-Fi, a geyser, laundry and parking facilities and a card payment option. Designed with minimal interiors and useful additions, the hotel is ideal for families, friends, and corporate travelers. Besides the amenities such as ATMs, banks, and medical shops nearby you can even enjoy the evenings by taking a walk on the Lakeside promenade or boating on the lake.